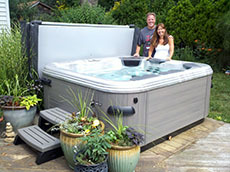 Best Hot Tubs is the premier dealer of Bullfrog Spas in the Catskill ski area. We are ready to provide any service necessary, from an at home consultation to the installation, beautification, and maintenance of your spa. Hot tubs and spas are excellent additions to yards. They can be used all year round for entertaining guests, family time, or simply for relaxation. Hot tubs and spas are also aesthetically pleasing. They are a nice focal point in a yard, and can do so much to enhance the look of an area. and comfort of your own home. Urgent Medical Care PLLC is open 9am -9pm 365 days a year including all major holidays. No appointments are necessary and you can just walk right in. We handle pediatric and adult medical problems from the most simple to complex of issues. Urgent care has xray and lab services on premises. Cardiac, Pulmonary, Orthopedic and Ocular exams are performed daily. Our professional pharmacists are here to advise you and fulfill your healthcare needs. We are available to answer questions on prescriptions and non-prescription remedies. We provide a variety of patient services. Stop by and see us at the store when you’re in the neighborhood. We are committed to exceeding your expectations as your Trusted Independent Pharmacist. Just steps from the lodge, you will be completely transformed in a very special setting. Relax fireside in the softly lit lounge before being restored with a master-level massage, facial or body ritual. Experience the calm as you step into the eucalyptus steam room or cedar sauna. Slow down. Have a cup of tea. Relax. Biontology and the CHIREN sessions at Xenia Wellness Center. Biontology, using cutting-edge technologies, simply and painlessly resets the physical and emotional body so it will heal itself quickly and thoroughly through non-invasive methods in response to the body’s resonant biofeedback. Each cell in the body contains a BioPhoton located in the cell’s DNA and this BioPhoton transfers packets of information around the body instantaneously on a sophisticated communication network. Strengthening this BioPhoton, and therefore the cell, is the foundation of Biontology. BioPhoton Light Therapy finds the root-cause of any symptoms-producing malady and quickly eliminates it by identifying the strength of the Biophotons along the body's intricate meridian system while using homeopathic remedies delivered to the body when strengthening each BioPhoton. During each session, the practitioner will access the body, treat the body and re-access the body. 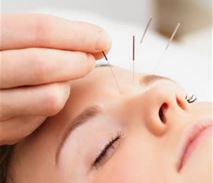 The work happens instantly, but it will take a few days for the body to detoxify from the treatment. Unless the client is working with a debilitating malady, most people's bodies can be reset in only a few sessions. Each session is carefully conducted by Greg Madden. Xenia Wellness Center offers BioPhoton Light Therapy with certified practitioner Greg Madden and Tui-Na Massage by NY Licensed therapist Andrew Kmeta. This year we have Andrew Kmeta, who will practice the Chinese art form of massage called Tui-Na.